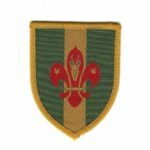 The time has co me for a re-design of our National Pocket Badge (see current badge image). We are inviting all creative Scouting members to give us your suggestions for the new design. The best design will win a brand new WOSM water bottle and a beautiful National Geographic Almanac of Geography. 1. The WOSM / SSA logo may not be used in the design. 2. The design size can be any shape, but must be smaller than 10 cm in diameter and fit on a standard front uniform pocket. 3. The design can be full color as it is an embroidered badge. 4. 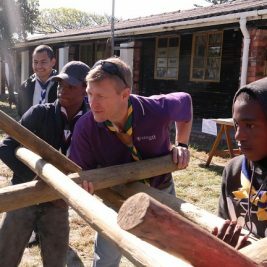 The design should be representative of our country and scouting as a whole. 5. The design must be scanned and the file must be submitted as a jpeg image. Send your designs no later than 1 February 2015 to info@scouts.org.za, mention your name, Scout Group and contact number. SSA reserves the right not to use any of the submitted designs, or to adjust the final selected design, to fulfill the EXCO requirements.